At DeTorres & DeGeorge Family Law, we are steadfast in our commitment to giving back to the communities we serve. With a focus on children and families, our attorneys and staff regularly volunteer their time, their skills and their services to ensure safety and stability among some of the most underserved residents of central New Jersey. We are more than just a law firm; we believe in the importance of good corporate citizenship. The D&D Family Law team works closely with BW NICE, the United Way of Hunterdon County, SAFE in Hunterdon and the Women’s Center for Entrepreneurship Corporation (WCEC) . BW NICE, Business Women Networking Involving Charity & Education, provides women at all stages of business and personal life with support, education and resources, while also bringing women together to gain meaningful business connections, learn new ways to succeed, and foster an empowering environment. BW NICE raises awareness and resources to end domestic violence. Rosanne DeTorres sits on the Board of Trustees for BW NICE. The United Way of Hunterdon County is a community impact-focused organization with a focus on solving community needs in the areas of income, health and education. Their mission is to bring people and resources together to improve lives and to advance the common good of our community. The DeTorres & DeGeorge team has participated in several programs sponsored by United Way, including Tools for School, which helps collect school supplies for children in need, and Holiday Hands, which is designed to ensure that families from ALICE (Asset Limited, Income Constrained, Employed) households in our area have a brighter holiday season. 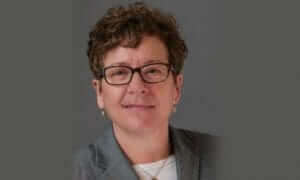 Rosanne DeTorres is also a member of the Local Community Business Leadership Council of United Way of Hunterdon County. SAFE in Hunterdon has been serving victims and survivors of domestic and sexual violence for more than 35 years. The organization aims to cultivate safety, empowerment and healing in an alliance with adults, teens and children affected by domestic and sexual violence while mobilizing the community to promote social change that will reduce power-based violence, control and oppression. Rosanne DeTorres regularly acts as a volunteer attorney representing victims of domestic violence. The Women’s Center for Entrepreneurship Corporation (WCEC) Women of Influence program offers successful business leaders the opportunity to network and make connections with other women leaders, while also providing a platform for professional mentorship. The mission of the program is to help the greater community of women in business share experiences and provide cross-disciplinary guidance and strategic support. Rosanne DeTorres is a member of the WCEC Women of Influence. She was named to the elite group of supportive women in 2017. The River Town Film Festival celebrates the local Hunterdon County community through film. Formed in 2017, the festival aims to highlight emerging filmmakers and showcase work. Each film aims to start a conversation and enhance our understanding of community. The DeTorres and DeGeorge team is proud to support this unique, local organization. Prevention Resources provides a variety of services in the local, Flemington area. These services for are intended for individuals and families dealing with drug and alcohol misuse and include a Safe Communities Coalition, Family Success Centers, Prevention and Education Services and Treatment and Early Intervention. The North Hunterdon High School Cross Country team raised funds to create a new, safe trail for their 2017 fall season to serve as their three-mile practice course. DeTorres and DeGeorge Family Law provided their support for the creation of this new trail. The Pancreatic Cancer Action Network raises funds to continue advancing research, serve more patients and be the leading provider for pancreatic cancer services and information. They bring hope to patients and their families by providing them with the latest treatment options and engaging communities across the globe to support the cause. The DeTorres and DeGeorge Family Law team donated to the Pancreatic Cancer Action Network’s PurpleStride 5k and participated in the walk as a team. Womanspace’s mission is to prevent abuse, protect families and change lives through empowerment and support services. Their services include emergency care, legal counsel, residential housing, counseling and support, and children’s services for victims of domestic violence and sexual assault. Each Friday, the DeTorres and DeGeorge Family Law team pays $5 to wear jeans and then donates the proceeds to a local charity. In the third quarter of 2018, we donated $220 to Womanspace. The Samuel Fleming House provides a historical interpretation of life in early Flemington through guided tours, displays, education programs, and events. The museum preserves the structure and contents of the first house in the town, built by Samuel Fleming. The D&D team sponsored the 2018 Samuel Fleming House Tricky Tray.